1Department of Physics, Thiagarajar College of Engineering, Madurai-625015. Tin (IV) oxide (SnO2) is a compound semiconductor which has been used for gas sensing and fluoride removal. SnO2 was synthesized with tin chloride as a precursor by sol gel method. Aloe vera was added during the preparation of SnO2 to study its effect on the nanosize, composition and morphology. The prepared nanopowders are characterized by XRD, SEM and FTIR to analyze the crystallite size, morphology, functional groups and absorption bands. FTIR reveal the change in functional group and shift in absorbance due to presence of Aloe vera. XRD analysis with Williamson Hall plot confirms the nanosize which was in accordance with the SEM results. 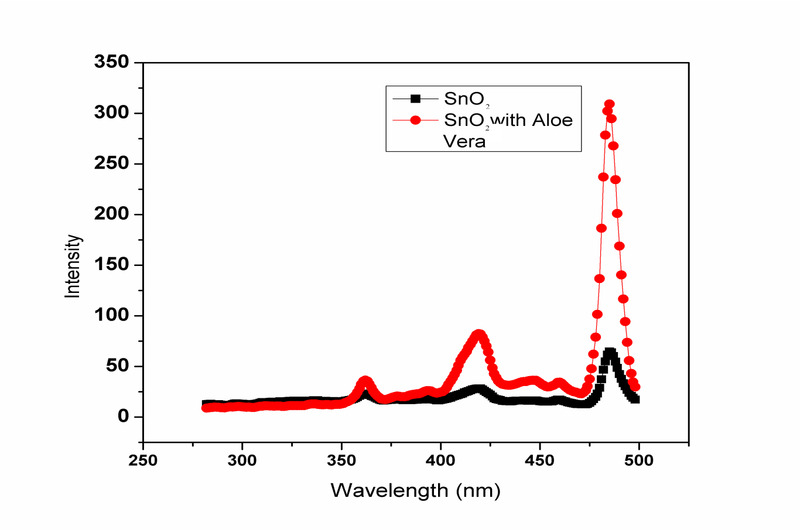 PL spectra were recorded to find the effect of band gap and intensity on SnO2 due to aloe vera. Oxide semiconductors (ZnO, TiO2, CuO, Al2O3 and SnO2) have attracted researchers across the globe due to less cost, easy processing technique and less toxicity. Among the oxide semiconductors SnO has a wide range of applications , extending from gas sensing , bio enzyme sensors , solar cell applications  and hazardous elemental absorbers. Nanomaterials can increase the efficiency of above mentioned applications due to enhanced surface area . Nano tin oxide can be prepared using several techniques such as sol-gel, electrodeposition, ball milling, and laser ablation [6-9]. Sol-gel has been the preferred choice for synthesis of nano-oxides due to its less cost, easy processing techniques and control over the particle morphology . Aloe vera, neem, tea, and coffee have been used in synthesis of nanomaterials as a reducing agent to study the effect of variation of morphology or surfactants. . Aloe vera has been reported as a good reducing/stabilizing agent for silver nanoparticles . This study investigated the effect of aloe vera on the oxide nanomaterials. It was followed by investigating the SnO morphology after addition of few drops of aloe vera. Tin chloride (1.9 g) was mixed with 100 ml water in a beaker. The solution was stirred by a magnetic stirrer to get a white solution. Sodium hydroxide (2 g) was dissolved in the solution and stirred for 1 h to obtain a pale white solution. The pH of the solution was adjusted in the range of 10.5-11 by addition of NaOH. 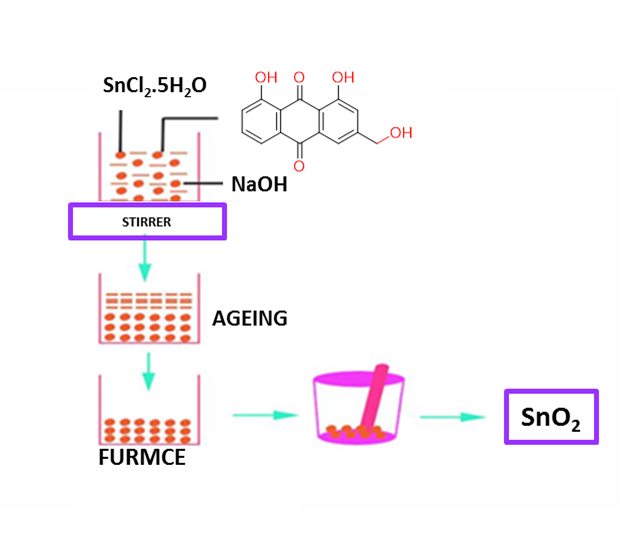 The solution was heated up to 250 °C for 2 h to obtain the SnO2 powder from Sn(OH)2. This is further hand milled to get the nano-powder. The above procedure is repeated with inclusion of aloe vera extract during the stirring process. Aloe vera contained 75 active constituents such as sugars, lipids, amino acids, and salicylic acid . The composition of aloe vera contains 99% water and derivatives of anthroquinonoe and glycosace which are aromatic compounds. The aromatic compounds may not react with the Sn(OH)2 phase, but they can introduce some functional groups in solution due to decomposition. The prepared micro and nano SnO were characterized by X-ray diffraction (XRD), Fourier-transform infrared spectroscopy (FTIR), and scanning electron microscope (SEM) to identify the structural features, functional groups, and the morphology. The summary of the preparation process is presented in Fig. 1. XRD pattern of the prepared SnO2 (Fig. 2) shows diffraction peaks at 25, 33, 51, and 660.The observed peaks are indicative of SnO2 in accordance with JCPDS 41-1445 . SnO2 prepared with aloe vera drops (Fig. 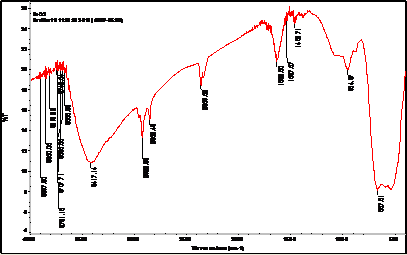 3) also shows diffraction peaks at same diffraction angles, but broadening of peaks are observed. Scherer equation is used to calculate the crystallite size of prepared nanoparticle. d= 0.91λ /(β Cosθ) Where,d= crystallite size (nm), λ= wavelength of the incident rays (1.54A), β= Full Width at Half Maximum value (radian) & θ= Position (radian), diffraction angle. The size is found to be 6 nm for SnO2 and 13 nm for aloe vera - SnO2. The Williamsons Hall plot (Fig 4 & Fig 5) between βcos θ and 4sin θ is plotted for both the powders. The intercept of the plot gives is used to measure the particle size. 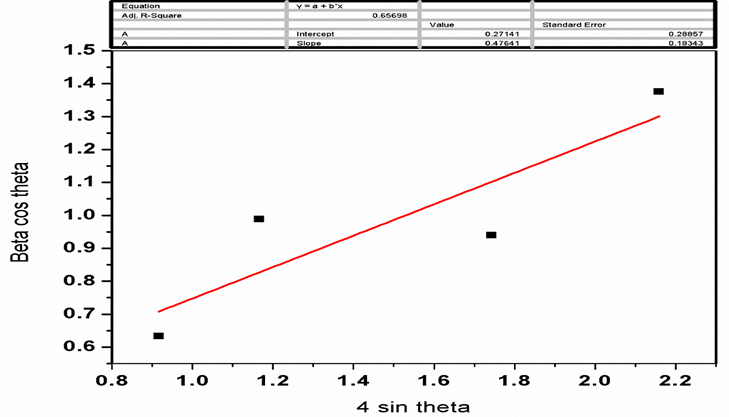 The intercept of the plot gives 0.91 λ/D, where D is the crystallites size to be determined. The particle size of the SnO2 and SnO2 in the aloe vera solution is 23 and 49 nm, respectively. Fig. 1. Preparation of SnO2 and SnO2 with Aloe Vera Solution. Fig. 2. XRD pattern of SnO2. Fig. 3. XRD pattern of SnO2 with aloe vera. Fig.4. Williamson Hall plot of SnO2. Fig 5. Williamson Hall plot of SnO2 with aloe vera solution. Fig 6. FT-IR of SnO2. The FTIR spectrum of the SnO2 (Fig. 6) shows wave numbers of 3382.27, 958.61, 517.36 /cm which can be identified with O-H, C-H and Sn-O bonds. The FTIR spectrum of the SnO2 with aloe vera (Fig. 7) shows wave numbers between 3500 to 4000 /cm in addition to the peaks present in Sn-O. The peaks confirm the presence of anthro quinones which are derived from Aloe vera solution. Fig 7. FTIR of SnO2 with Aloe vera solution. The SEM image of SnO2 and SnO2 with Aloe vera is shown in Fig. 8.a and Fig. 8.b respectively. A heterogeneous range of particle size is observed for both the materials. The particle size of SnO ranging from 100 nm to 500 nm. Fig 8. a, SEM image of SnO2. and b,SnO2 with Aloe Vera solution. The PL spectra of both the samples is illustrated in Fig. 9. The samples are excited at a wavelength of 265 nm. The SnO2 samples show peaks at 363, 419, 485 nm which corresponds to 3.41, 2.95 and 2.55 eV respectively. 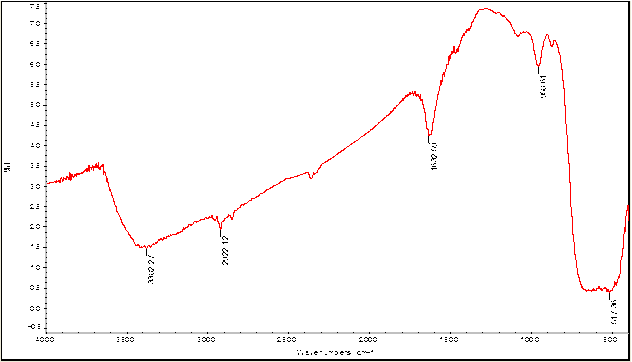 The SnO2 prepared with Aloe vera solution shows peaks at 362, 419, 485 nm which corresponds to 3.42, 2.95 and 2.55 eV respectively. Inclusion of Aloe Vera solution in the precursor changes the photon intensity at all the three wavelengths. 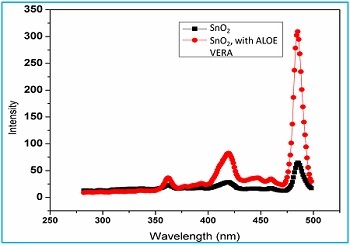 SnO2 prepared with aloe vera solution shows high intensity in comparison to SnO2 and the difference in intensity increases from UV to visible range. Fig 9. PL spectra of SnO2 and SnO2 with Aloe vera. SnO2 was prepared from chloride precursors by sol gel method .The same procedure was repeated with inclusion of aloe vera to identify any change in morphology of SnO2. The prepared powders were characterized by XRD, SEM, FTIR, and PL Spectra to investigate the structural and morphology. The size of the particles have been reported by XRD using Scherer equation and Williamson Hall plot. The deviation was attributed to the stress fields created during measurements techniques by X-ray and the electron beam source, scattering effects. 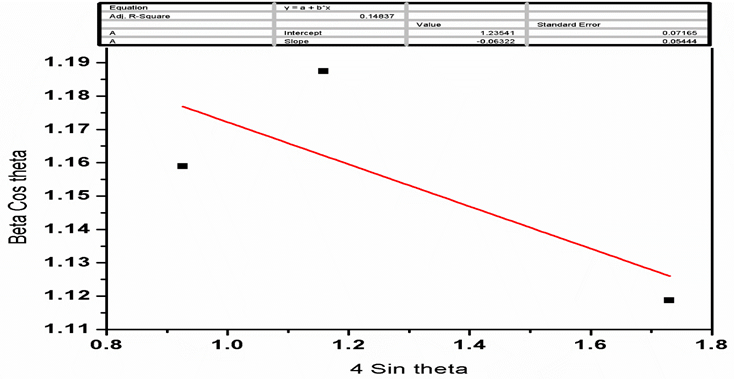 The FTIR spectrum revealed the presence of Sn-O bonds and organic bonds of C-H and O-H. The presence of anthroquinone derivatives may be the cause for additional organic functional groups in SnO2 with Aloe vera. PL spectra revealed the increase in photon intensity at the critical wavelengths due to the presence of the aloe vera. How to cite this manuscript: Veeraiah Veeraganesh, Alagappan Subramanian*, Thambu Sornakumarb.Effect of aloevera on synthesis of nano Tin (iv) oxide. 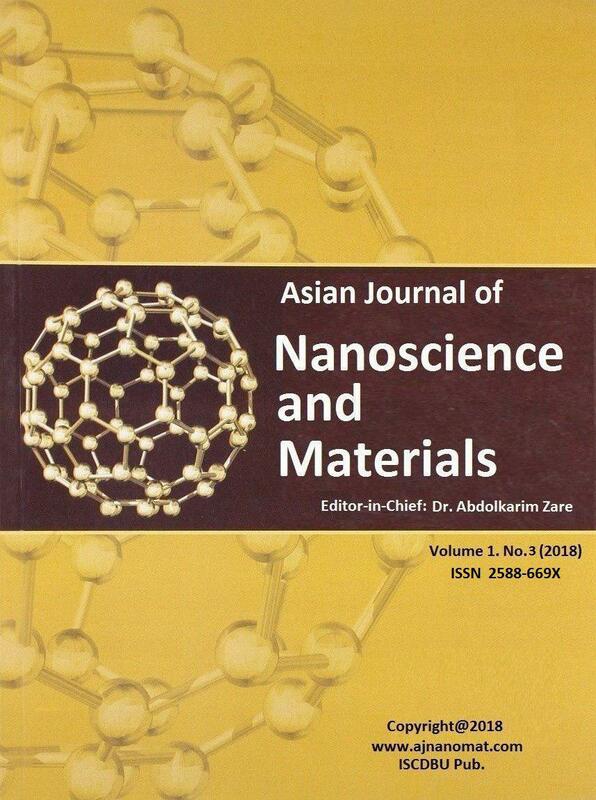 Asian Journal of Nanoscience and Materials, 2018, 1, 112-118. Batzill, M., & Diebold, U. (2005). Prog. Surf. Sci., 79: 47–154. Anuradha, S., & Rajanna, K. (2008). Int. J. Smart Sens. Intell. Syst., 1: 498–511. Patel, M. K., Singh, J., Singh, M. K., Agrawal, V. V., Ansari, S. G., & Malhotra, B. D. (2013). J. Nanosci. Nanotechnol., 13: 1671–1678. Jana, a K. (2000). J. Photochem. Photobiol. a-Chemistry, 132: 1–17. Buzea, C., Pacheco, I. I., & Robbie, K. 2007. Biointerphases, 2: MR17-MR71. S. T. Chang, I. C. Leu, M. H. Hon (2002). Electrochem. Solid-State Lett, 5(8), 71-74. Nowak, A. P., Lisowska-Oleksiak, A., Siuzdak, K., Sawczak, M., Gazda, M., Karczewski, J., & Trykowski, G. (2015). RSC Adv., 5: 84321–84327. Woo, D.-C., Koo, C.-Y., Ma, H.-C., & Lee, H.-Y. (2012). Trans. Electr. Electron. Mater., 13: 241–244. Maestre, D., Cremades, A., & Piqueras, J. 2004. Microelectron. (2004). 24th Int. Conf., 2: 433–436 vol.2. Dimitriev, Y., Ivanova, Y., & Iordanova, R. (2008). J. Univ. Chem. Technol. Metall., 43: 181–192. Holmberg, K. (2001). Curr. Opin. Colloid Interface Sci., 6: 148–159. Ibrahim, S., Fadhil, A. M. A., & Al- Ani, N. K. (2014). J. Al-Nahrain Univ. Sci., 17: 165–171. Surjushe, A., Vasani, R., & Saple, D. G. (2008). Indian J. Dermatol., 53: 163–6. Chen, W., Ghosh, D., & Chen, S. (2008). J. Mater. Sci., 43: 5291–5299.